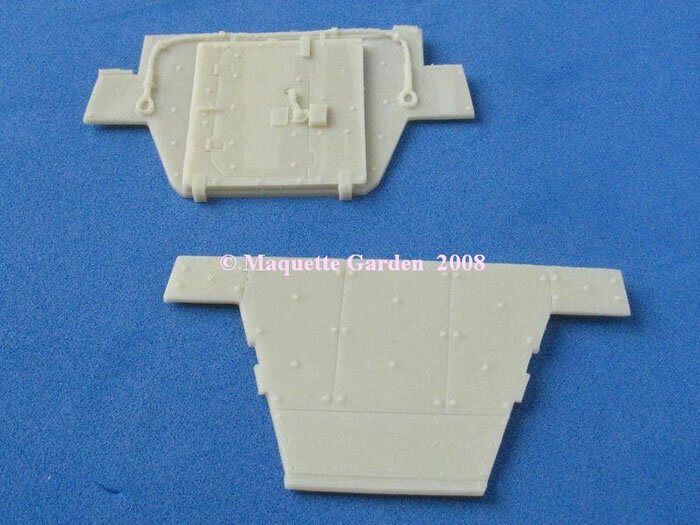 Home > Reviews > 1/48 Scale > Gaso.Line 1/48 scale French AIFV "VBCI"
Catalogue Number and Description: Gaso.Line Item Number GAS50138 - French AIFV "VBCI"
The brand new French Wheeled Infantry Fighting Vehicle " VBCI" was delivered to the French Army just one week ago in order to replace the old AMX10P. 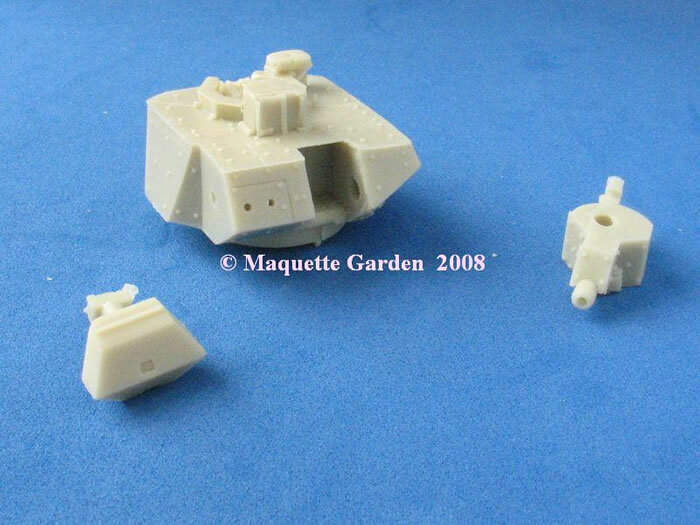 It is an 8x8 armored vehicle with a 25mm gun. The first thing strikes you when open the box it's the size of the kit: 15 x 6 cm! Even for a 1/48 scale, this is a rather big model! 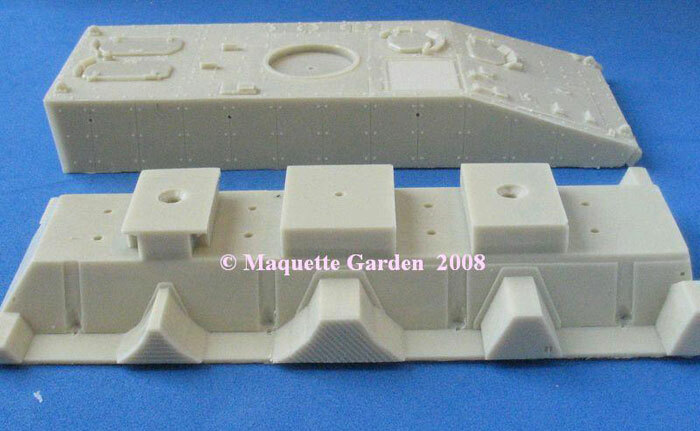 The set contains the hull in 2 parts (upper and lower - the anti-slid surface is cast directly onto the panels), the rear and the front parts, the wheels and the steering blocks and a set of little parts as camo net bags, the turret and so on. 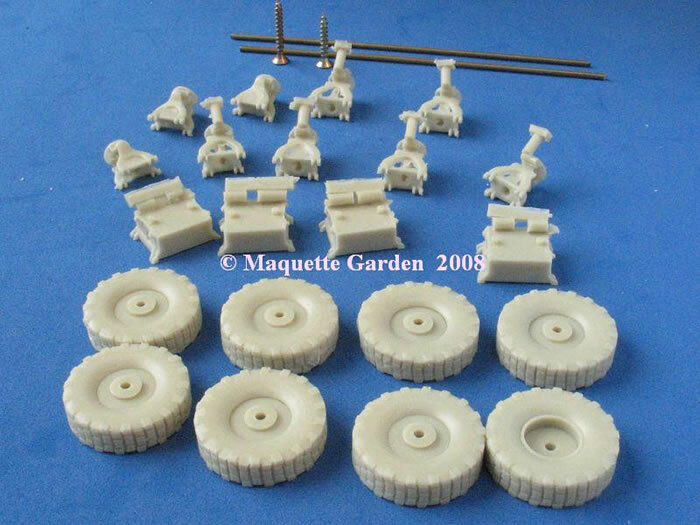 In all, around 75 parts are supplied in a beige resin. 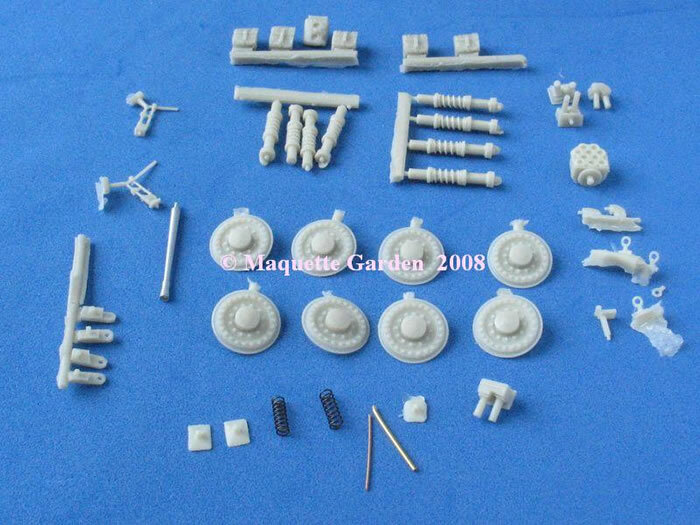 All parts are correctly moulded without bubbles, so there will be minimal preparation required before starting the kit. 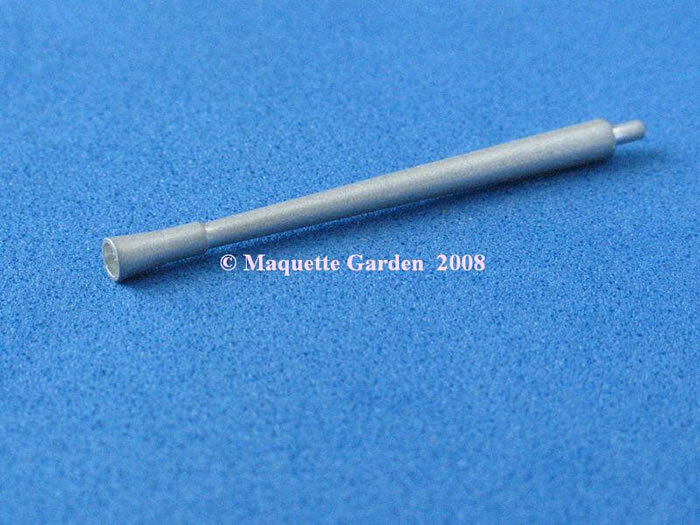 The gun barrel is aluminium. In summary though, this looks like a great kit, and accurate too, permitting this new vehicle to be built very nicely straight from the box!